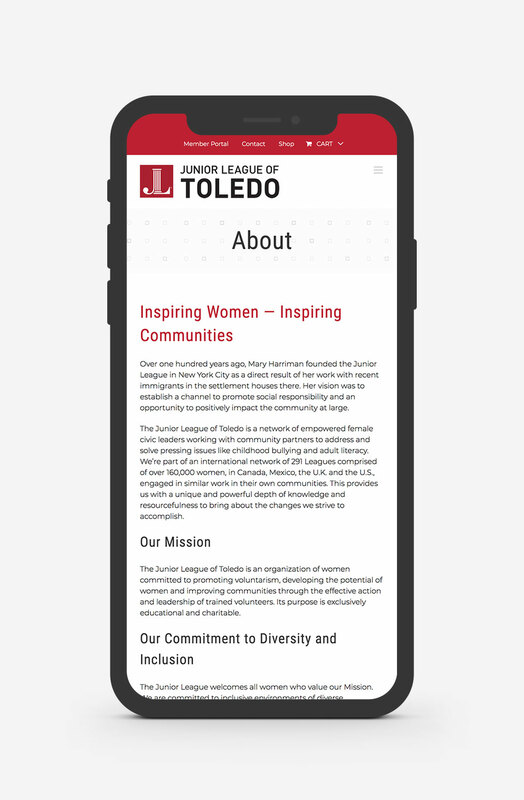 The Junior League of Toledo is an organization of women committed to promoting voluntarism, providing leadership training opportunities for women, and improving the community of Toledo. 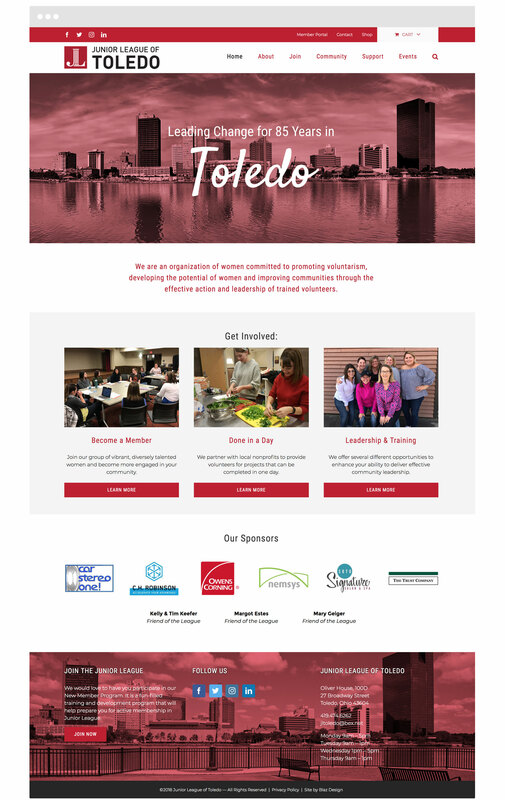 The Junior League of Toledo approached me for a complete website refresh, as their old WordPress website was outdated and difficult to update. 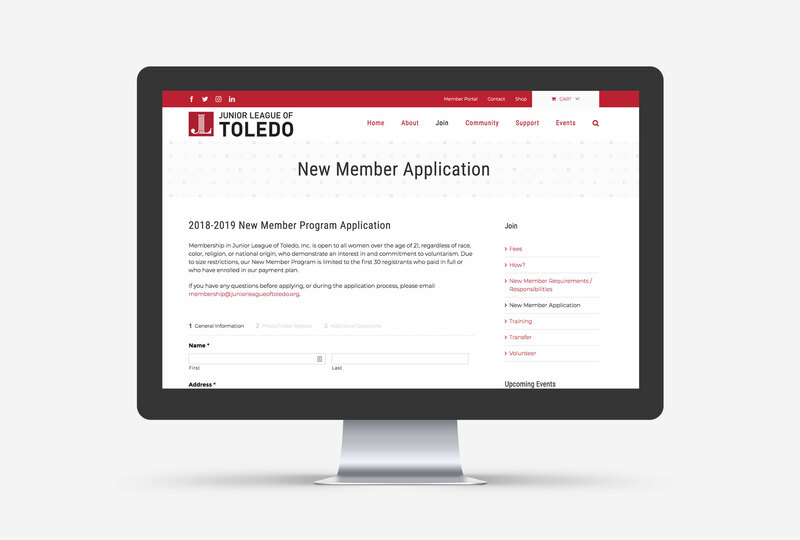 Taking into consideration that several members would need to update the new site regularly, I worked with their core marketing team to create a WordPress website that is fresh, easily updatable, and contains a few key features. 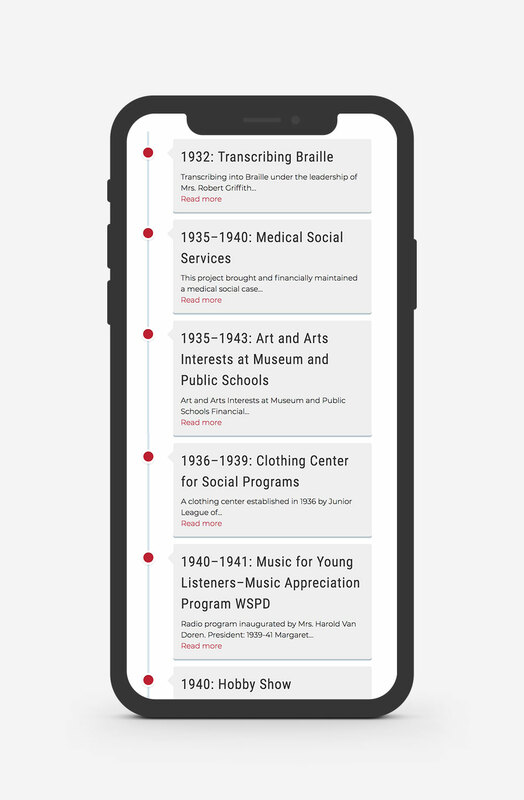 A few of the highlighted features include a timeline of the League’s impressive list of past projects, an event calendar for League and community members, and an online registration experience for new members.